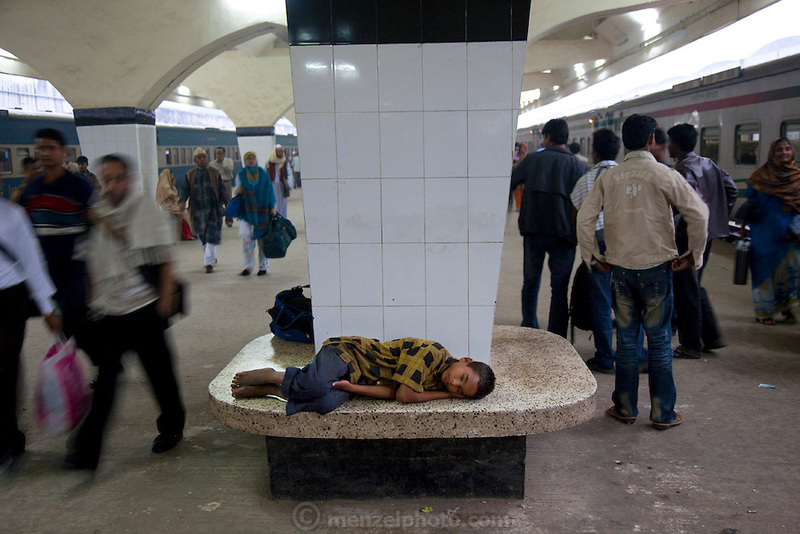 Alamin Hasan sleeps at the Kamalapur Railway Station in Dhaka, Bangladesh, where he works as a porter. (Featured in the book What I Eat: Around the World in 80 Diets.) MODEL RELEASED.